Prepare the beef. 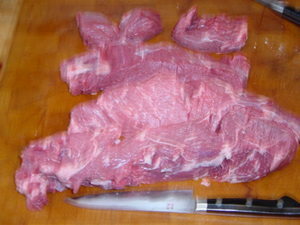 Trim the meat by separating the muscles. Remove all connective tissue and clumps of fat. 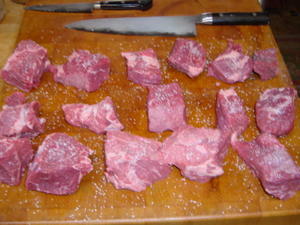 Cut the meat into 2 inch cubes. Season with salt and pepper. Preheat a Dutch oven to medium high. 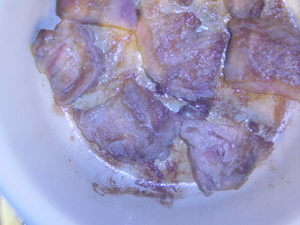 Add some oil, and saute the meat on both sides till well browned. 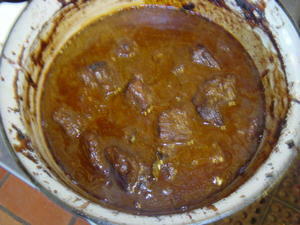 When you're done with the meat, there will be a brown fond in the pan. Slice the onions about 1/4 inch. Add some more oil to the pan, and then the onions. Add the salt and tomato paste to the onions. Stir till the onions become limp. 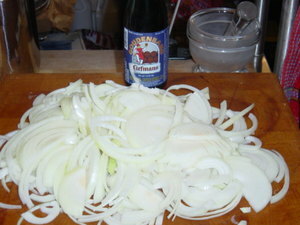 Reduce the heat and caramelize the onions. 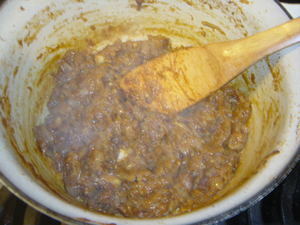 Deglaze the pan with the liquids, and add the meat together with any juices, to the pot. Add the thyme (sprigs tied together with twine) and the bay leaves. Spread the slices of ginger bread with the whole grain mustard. 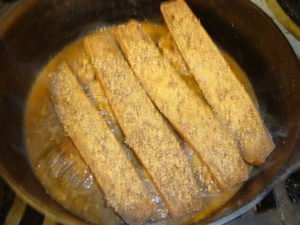 Lay slices of ginger bread on the sauce/meat. 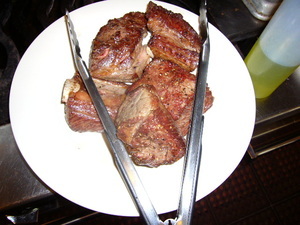 Cover and bake at 300 for about 2.5 hours or until meat is tender. Do so in batches if the pan isn't big enough. 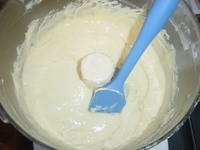 Mix the eggs, milk, salt and nutmeg in the food processor. Add the flour in batches. Should be like a thick batter. Bring a pot of salted water to a boil. 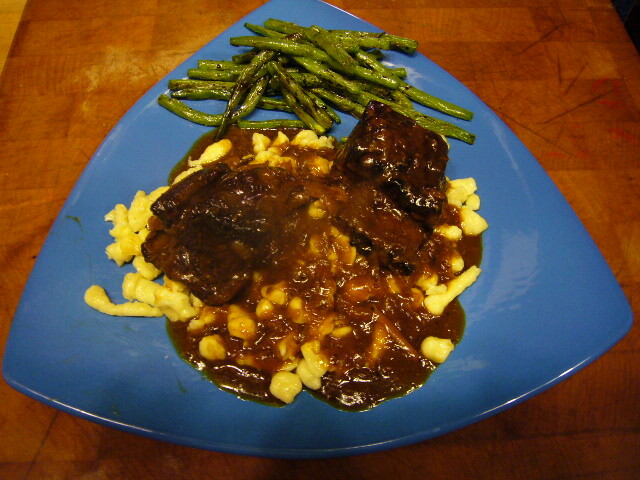 Use a spatzle maker to add batter to the boiling water. 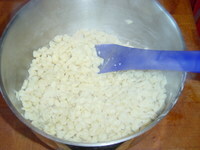 Dumplings will rise to the surface when done. 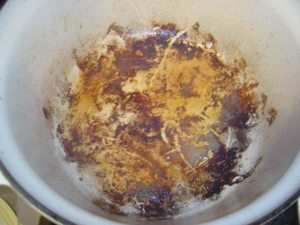 Remove with a spider or slotted spoon to a buttered bowl. Preheat a large pan, and melt some butter. Add dumplings and saute till dumplings start to brown.